PCWinSoft, Our Software Solution parter is distributing free licenses again, this time for 1AVStreamer, the video and audio professional broadcaster program. Priced at $59.99 but in this promotion you get it for free. What sets 1AVStreamer apart from its competition is the ease of use and ease of configuration. Most video broadcasting softwares nowadays are full of parameters that you have to create a command line to run your broadcast and it can be really frustrating sometimes. Whereas 1AVStreamer does not use command-line parameters and all configuration is visual so it can work for a beginner or advanced PC users. 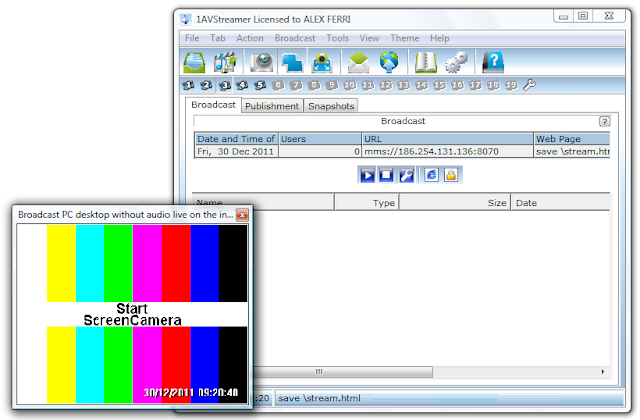 The quality and size of the broadcast is completely configurable because 1AVStreamer allows you to alter, or add new encoders, and in each profile you have several options of audio and video compression. 1AVStreamer is also a video and audio recorder so you can use 1AVStreamer to record narrated tutorials or record game playing. 1AVStreamer will run on 2000/XP/2003/Media Center/Vista/Windows 7/Windows 8 and requires at least a 1.3gHz processor and 256mb of memory. Caution: Don’t use fake e-mails because if you do fake e-mails are removed once a month and your registration will be removed. Use your authentic e-mail and you will be able to re-install software after PC crash or new PC. The market have lots of software for video and audio broadcasting, but th ease of using 1AVStreamer makes it stand them out. 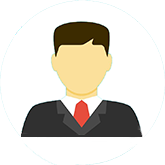 In case you are looking some software for this purpose, we recommend 1AVStreamer. This is your only chance to grab this software for free. Can i install a webcam and use it as ip cam using this software ?